When your dad reaches out to one of the biggest cities in Canada and describes you as ‘doofy,’ a few things are pretty certain: you fucked up pretty badly, you have a good dad, and the people of Canada are going to do all they can to help. Because that’s just who Canadians are. If you don’t believe me, ask Gavin Strickland, the affable doofus and Metallica fan that lost his car in Toronto. This past Sunday, the 19-year old from Syracuse, NY drove to Toronto to see a Metallica concert. When the concert ended, Strickland set off to get in his car and go back home, likely blasting The Call of Ktulu or something. 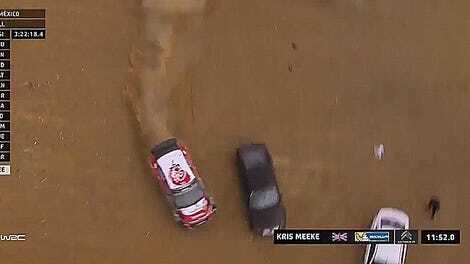 The problem was he had no idea where he parked his car, and spent all night going from parking garage to parking garage looking for it. Finally, Monday morning rolled around, and our humble metalhead had no choice but to call his dad and tell him, somehow, he’s lost his Nissan Versa, and took the bus home. 2015 Blue / Green Nissan Versa Sedan was parked within a $8 cab ride (about 2 miles) of the Rogers Center this past weekend. Our doofy son parked the car in an indoor parking garage, in the first floor (slightly lower / basement level) but that garage cannot now be located.... It is near a Starbucks where there is some construction going on. Also nearby is allegedly a strange spiral outdoor sculpture, and possibly a bank- maybe RBC? The car has US Florida license plates, a small Canadian flag affixed to the door frame, and a Bernie Sanders bumper sticker. A lost / missing vehicle report has been filed with the Toronto police. Please respond with photos of the car and specific location instructions to claim the reward. Not a lot to go on, there. Near a Starbucks with some construction going on? That’ll limit you to, what, 75% of the inhabited landmass of Earth? The spiral outdoor sculpture helps, as does the distinctive attire of the car, including a Canadian flag and a Bernie bumper sticker. In fitting detail for an affable American doofus, the car was found parked in an electric car charging station. A Nissan Versa runs on gasoline. 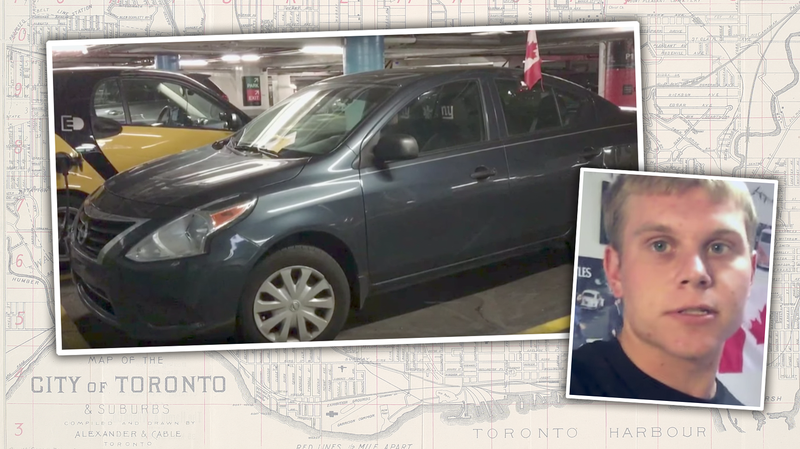 It was late Wednesday night when the car was found, and a day or so later Strickland took the bus back to Toronto, where he was met at the station by Riddolls bearing a Toronto map marked with the car’s location, and lots of local media cameras. “I feel like I’m a Hollywood actor or something,” remarked the fortunate doofus, according to the BBC. Just to really drive home the point that Canada is populated exclusively with a strange, beautiful subspecies of really, really nice humans, the parking garage only charged him for one day instead of four, and even gave Strickland a Bluetooth device to help him if he ever loses his car again. Damn, Canada. You people are so freaking nice. As a doofus myself, I’d like to thank you on behalf of the greater American Doofus community.